British house coal trebles are a traditional coal that burns to very high temperatures. This fuel is not authorised for use in smoke control areas. House Coal Trebles burn with an attractive flame, and have a very high heat output. This coal is graded at 75mm - 125mm. These are larger in size than house coal doubles. 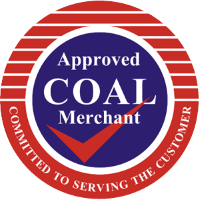 Larger sized coal is ideal for larger rooms as the coal burns to very hot temperatures, with a long burn time. House coal trebles will not need to be re-fueled as often, however, you may find that it can take longer to establish the fire. House coal trebles are suitable for open fires and some multi fuel stoves. This coal is not authorised for use in smoke control areas.